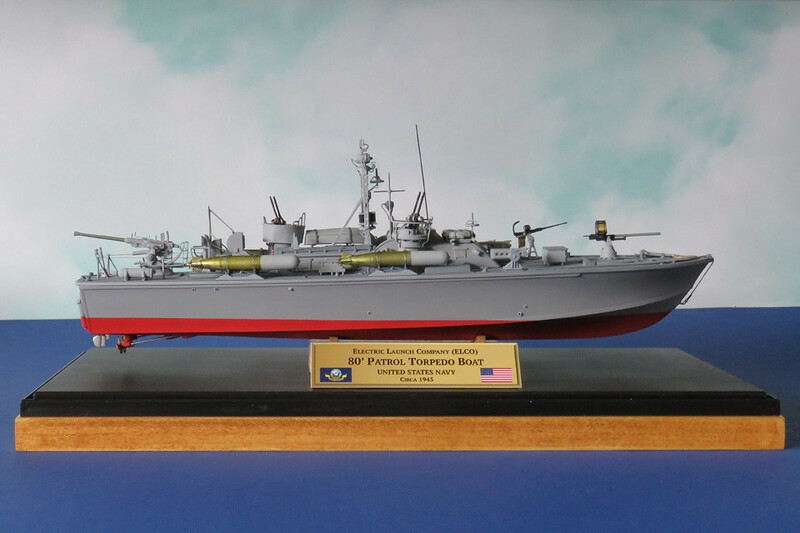 I’ve recently completed my scratch built 1/72 scale 80’ Elco PT boat, United States Navy hull number 620. 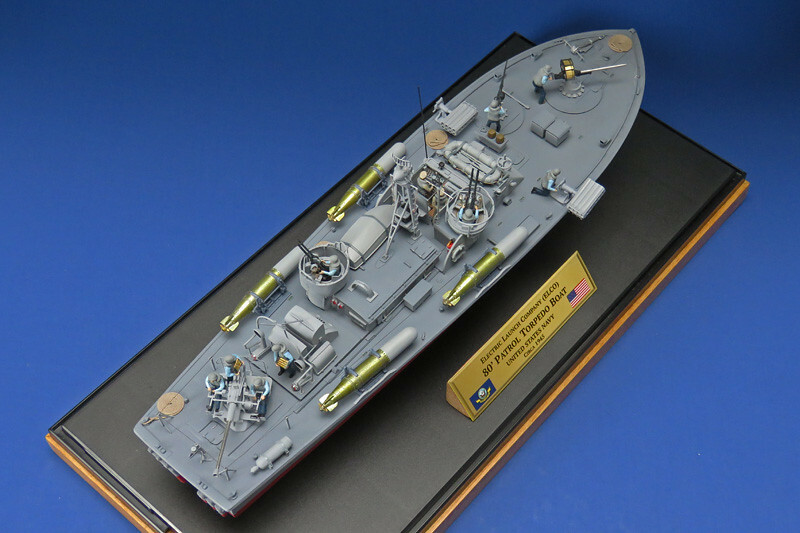 PT 620 was one of the last group of 22 Elco 80' PT boats to be laid down & launched in 1945. 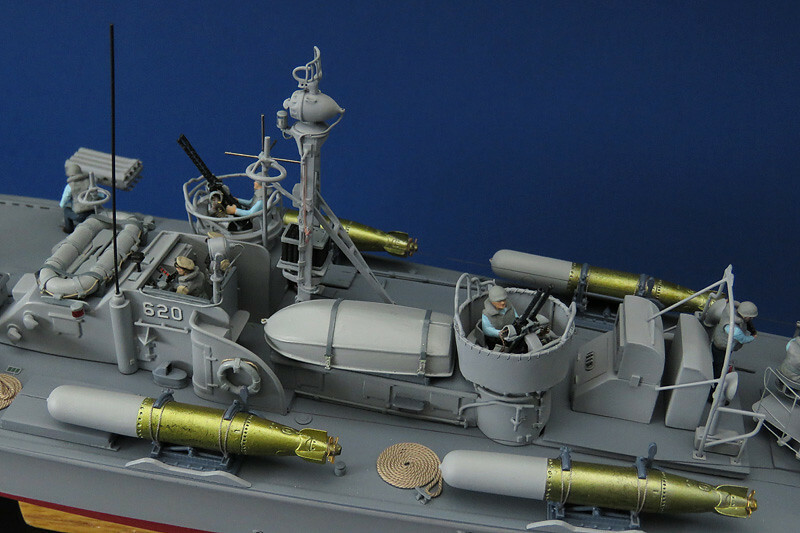 She had a full complement of weaponry - four 21 inch torpedoes, a 37mm canon, a 20mm Oerlikon, a 40mm Bofors, four .50 cal machine guns, & two rocket launchers. She did not see action as WWII hostilities had ended. 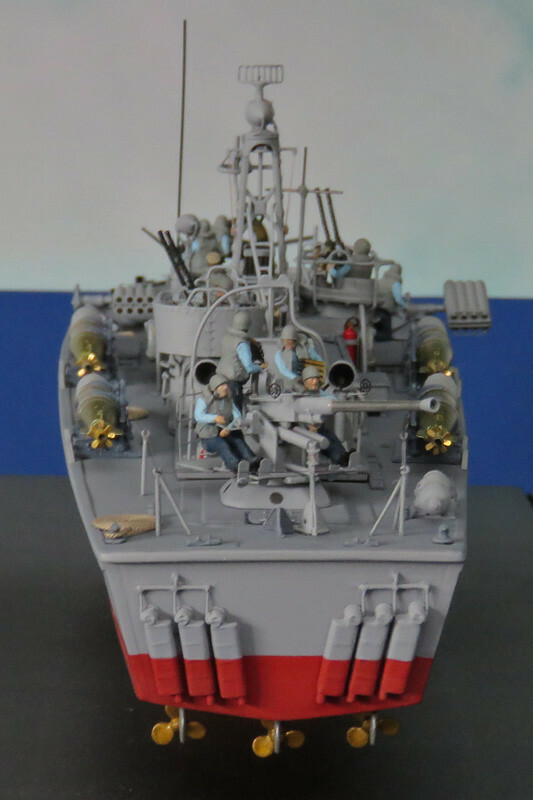 620 was one of four boats that remained in service after WWII, under the USN's Operational Development Force, and were the last WWII PT's in service in the US Navy. 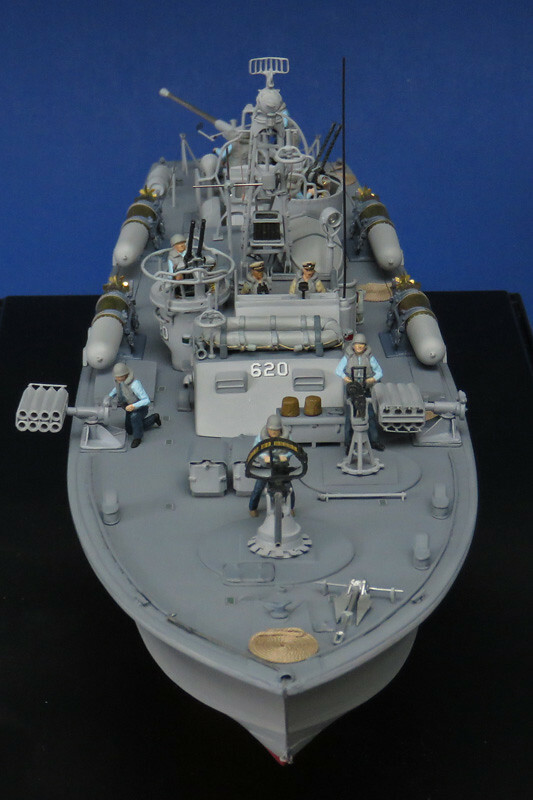 She was transferred to South Korea in 1952 and re-named Jebi (PT 27). She was returned to USN in 1963 and was scrapped in 1964. 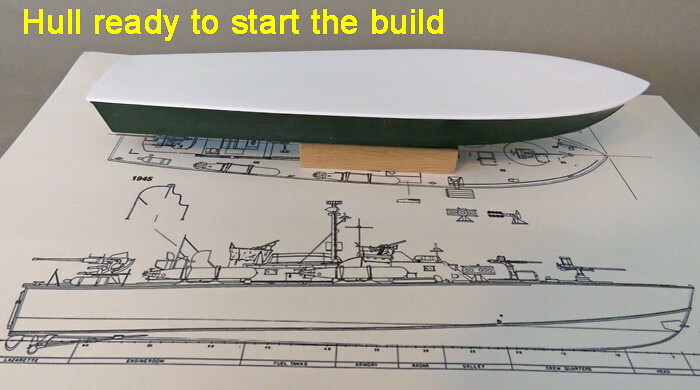 Using a hull from a Revell green plastic PT 109 kit #310, I scratch built the model from the deck up using plastic card, rod and stretched sprue, balsa wood & bits & pieces found around the house. 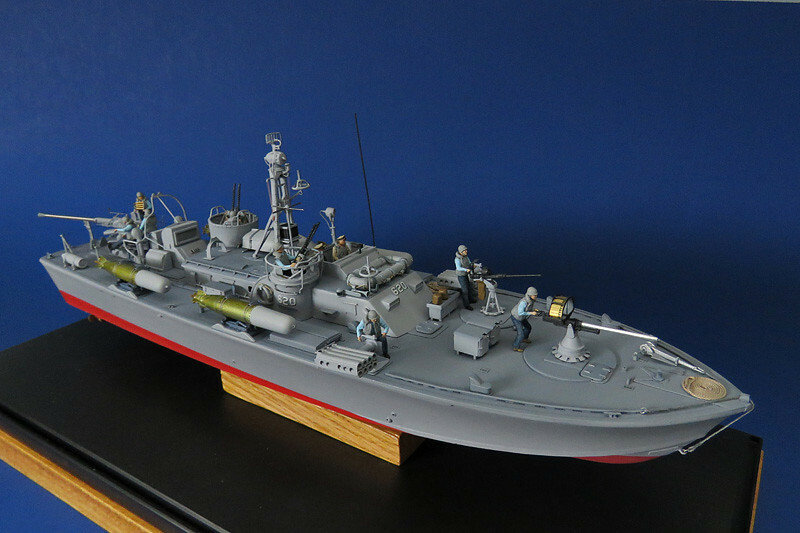 I painted the model in the Elco grey paint scheme used after WWII and during 620's service with the South Korean Navy. Torpedo colours include a primer grey nose cone and transparent yellow over steel paint colour body to simulate the actual steel torpedo bodies rubbed down with 'Crotin Oil' as a corrosion inhibitor. 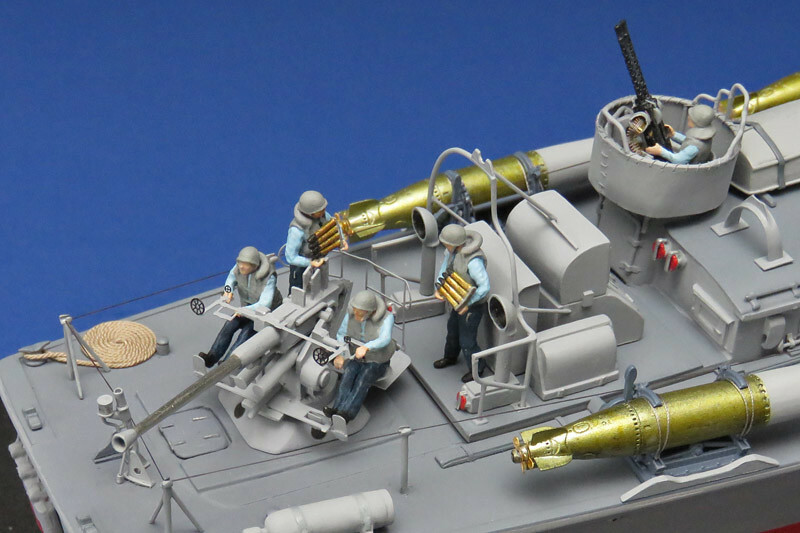 - Four .50 caliber machine guns, one 37mm canon, and one 40mm Bofors gun from Atlantic Models. 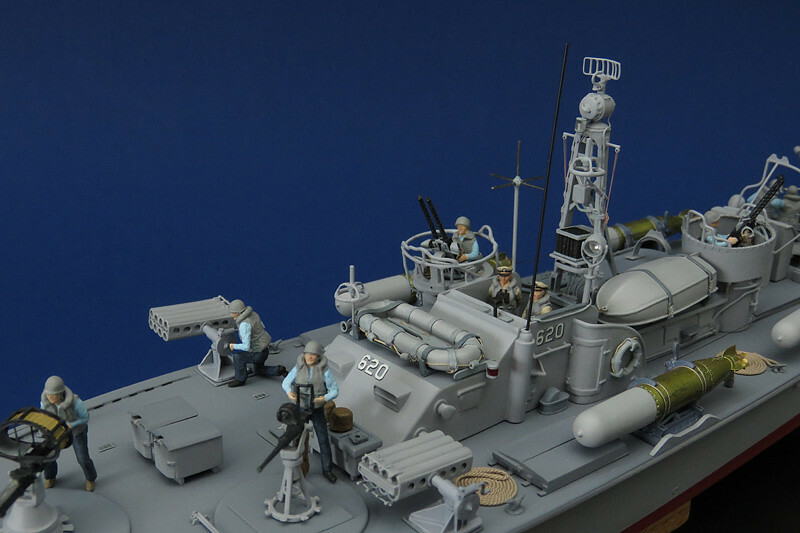 - Syren Ship Model Company 63mm dia. rope in tan colour. 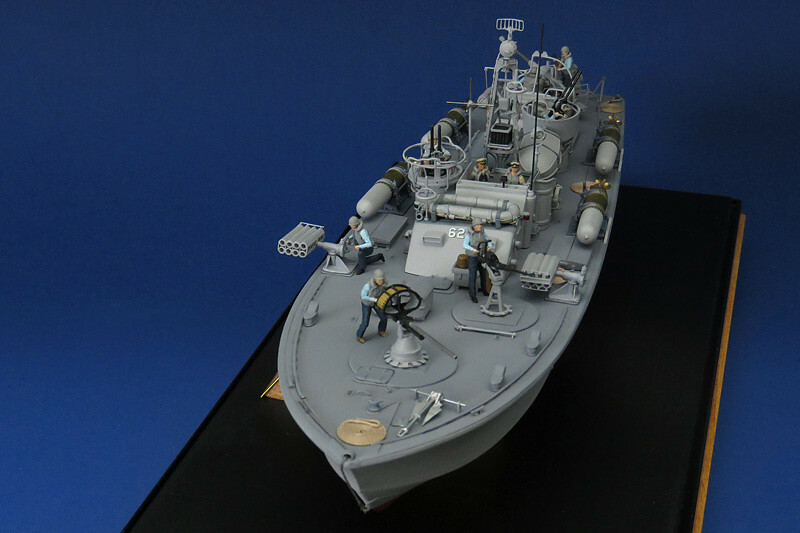 Here are a few walk around photos showing the completed model. Fantastic job John! 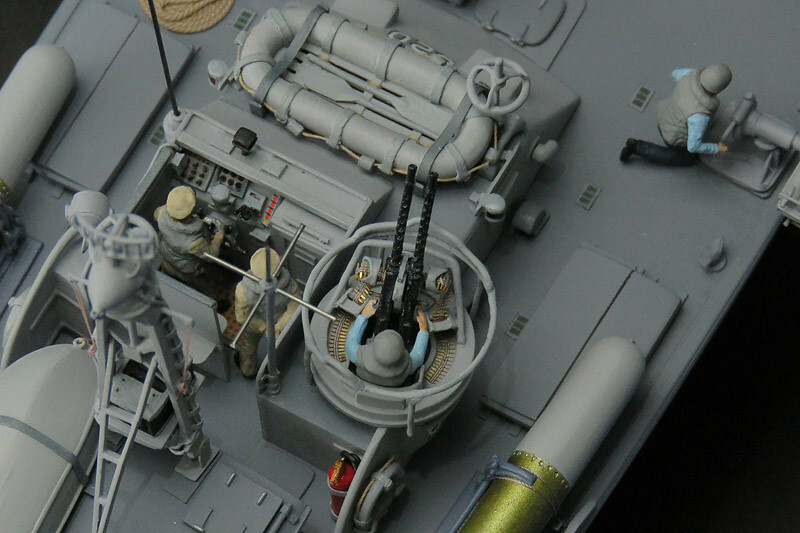 I'll have to remember the clear yellow over the steel on the torpedoes when I get around to my 1/48 late Elco PT kit. Very impressed with your scratchbuilding! Fantastic work! 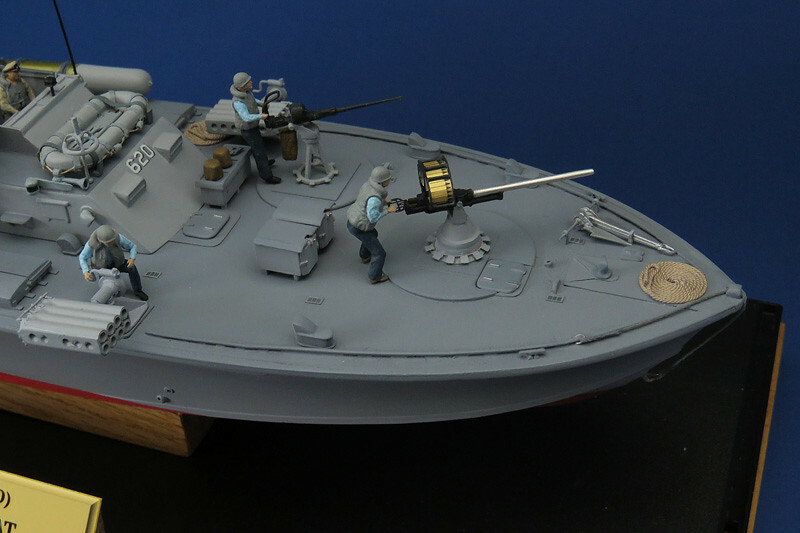 The late-war PT boat armament was impressive. Twain:Life would be infinitely happier if we could only be born at the age of eighty and gradually approach eighteen.